Susan M. Papp earned a Master of Arts in North American Social History at York University in Toronto in 1985. Ms. Papp began her career in journalism at the Canadian Broadcasting Corporation's Radio Drama department in 1981 as a historical researcher. In 1985, she worked in the national newsroom as researcher and program organizer. In 1988, Ms. Papp became a current affairs producer in the regional news department at the CBC. One of the televised documentaries she produced was entitled The Half Million Dollar Man . It told the story of one Canadian addict who went to the United States and manipulated his way in and out of seven addiction treatment centres in a matter of twenty months. The story brought about the resignation of the Minister of Health, and within months, caused the Government of Ontario to change its out-of-country payment policies for addiction treatment. It won two of the most prestigious awards in Canada: The Michener Award and The Best Investigative Award of the Canadian Journalists Association. Susan Papp developed a profile and reputation as a current affairs reporter specializing in social issues for CBC TV. In 1991, she was chosen to work as field producer for The Journal , and its subsequent retitled version Prime Time News. In 1993, while on leave of absence from the CBC, Ms. Papp founded her own television production company, Postmodern Productions. Her first independently produced film entitled Debris of War is an hour long documentary on the trauma of the war in the former Yugoslavia. Its' Canadian premiere was February 1994. In 1998, Debris of War was awarded the Canadian Ethnic and Journalists and Writers Award for Best Documentary. 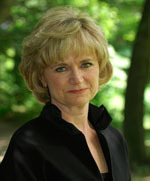 In June 1995, Susan Papp left her position at the CBC and has devoted all her energies to independent television production. Postmodern Productions has developed strategic alliances with respected entertainment companies in Los Angeles, Winnipeg, and Budapest, Hungary. In 1998, Ms. Papp produced and directed Hundred Something , a one-hour documentary for Discovery Channel. In 1999, she produced and directed Monuments in Miniature, an arts documentary for Bravo! She has served on many film festival juries, including the International Emmy Awards. Susan Papp completed a documentary on the life of George L. Mackay, entitled: The Black Bearded Barbarian of Taiwan . This documentary premiered in the fall of 2006 on OMNI Television. In 2007, she completed Young Rebels a documentary about the story of the arrival of 37,565 refugees who came to Canada following the Hungarian Revolution of 1956. Her most recent project is Outcasts , a documentary about a love story between a Jewish woman and the Christian man who tries to save her during the Holocaust. Susan Papp teaches in the CERES program at the Munk School for Global Affairs at the University of Toronto. She is Adjunct Scholar at the Multicultural History Society of Ontario. She has written and published widely on Hungarian immigration to and settlement in North America. Ms. Papp began her Ph.D. studies in History at the University of Toronto in the fall of 2012.